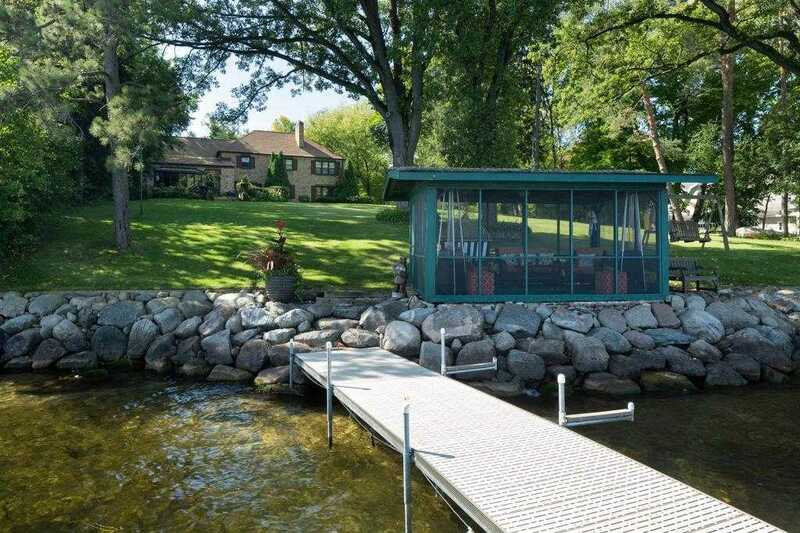 Rare Wayzata Bay opportunity! Private and tucked away in charming Woodland. 146 feet of sandy gradual lakeshore. Likely a building site (a new house can be moved closer to the lake) or a remodel of existing home. Huge lot, walk or bike to Wayzata. Please, send me more information on this property: MLS# 5016213 – $2,885,000 – 2730 Breezy Heights Road, Woodland, MN 55391.